Engineering is in our name — Mesa Engineered Tank Products (Mesa ETP). Every product we sell to a customer is reviewed by our engineering department to ensure an ideal match between Mesa ETP product and the specific requirements of the intended installation location and tank contents. Mesa ETP products function better and last longer because they are designed for each specific scenario. Mesa ETP maintains active memberships in all the major trade associations serving the needs and interests of the Aboveground Storage Tank industry. Through this participation in industry associations, Mesa ETP is able to monitor new regulations, standards, testing methods and approved specifications. The trade associations are a major resource for technical information in the industry, which Mesa ETP's engineers employ in the design of our quality AST product line. International Liquid Terminals Association (ILTA)- ILTA represents 79 companies and partnerships that operate bulk liquid storage terminals in 47 countries. These facilities are located in ports and along rivers, canals and pipelines. They serve the vital economic purpose of transferring liquid products from one transportation mode to another. American Petroleum Institute (API)- The American Petroleum Institute (API) is the only national trade association that represents all aspects of America’s oil and natural gas industry. Our nearly 400 corporate members, from the largest major oil company to the smallest of independents, come from all segments of the industry. National Institute for Storage Tank Management (NISTM)-The NISTM is an organization that provides educational opportunities, resources and training seminars about the operation, regulation, and management of Underground and Aboveground storage tank systems. 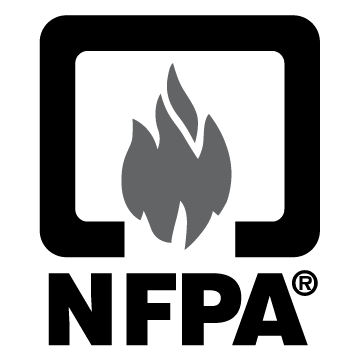 National Fire Protection Association (NFPA)- The mission of the international nonprofit NFPA, established in 1896, is to reduce the worldwide burden of fire and other hazards on the quality of life by providing and advocating consensus codes and standards, research, training, and education.